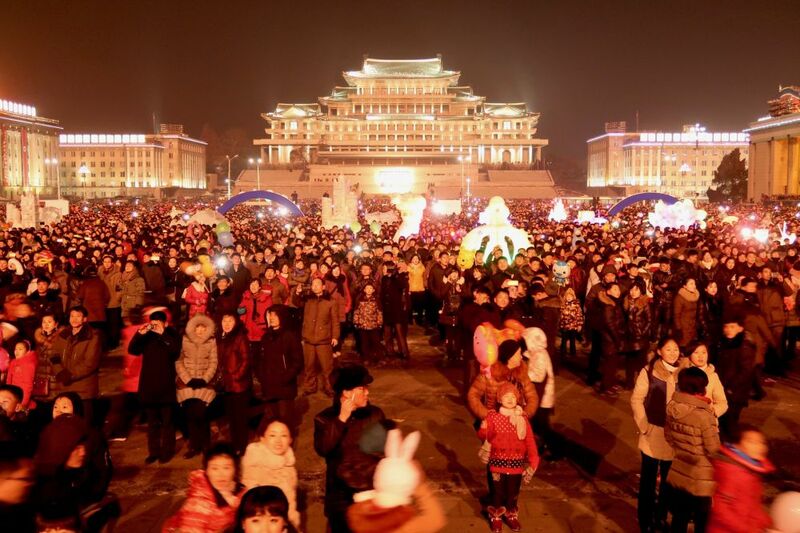 Join the party as we jump into the DPRK to celebrate and welcome in the New Year in Pyongyang style! 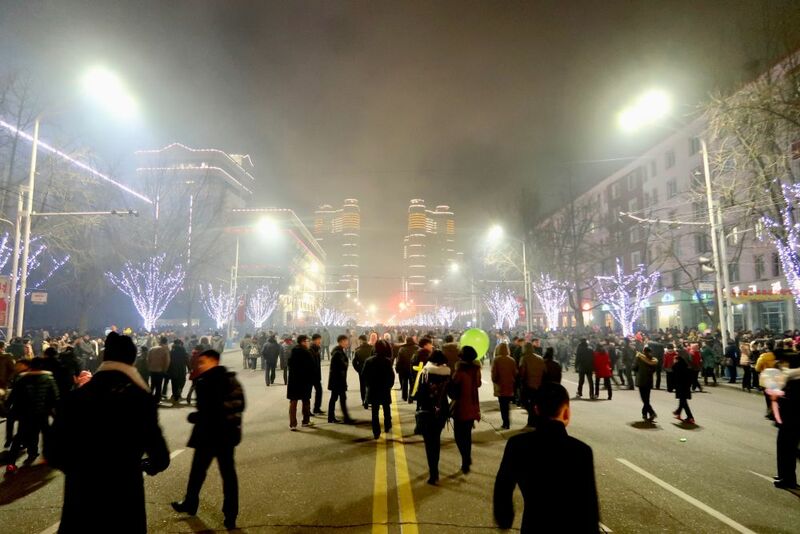 During New Year’s Eve, we start the evening off dropping by a few bars and then hanging out with locals and expats alike at Rakwon beer bar and then heading off to Kim Il Sung Square to watch the firework show! 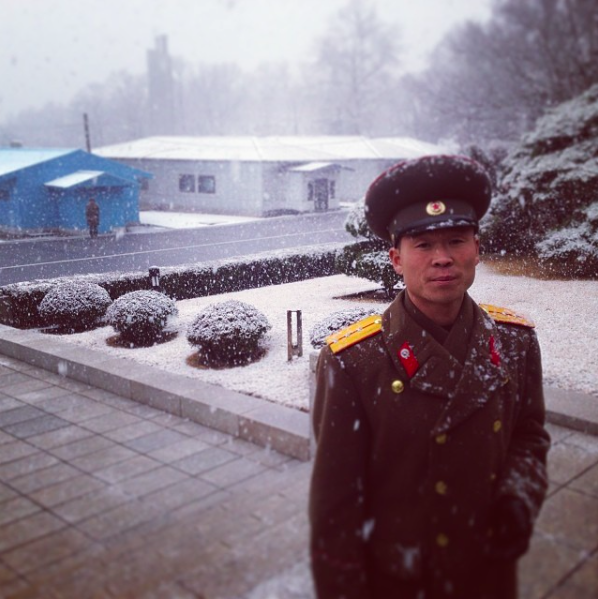 During our frosty visit, we’ll visit the Mausoleum where both leaders lay in state, ride the Pyongyang Metro, visit the Korean War Museum… and what better way to start off the New Year’s than by visiting the KPA Soldiers at the DMZ to hear an explanation of the division of both Koreas. During our tour, we’ve been given special access to a Russian Mil Mi-17 helicopter to take it for a whirl around Pyongyang city for a unique aerial tour of the capital. 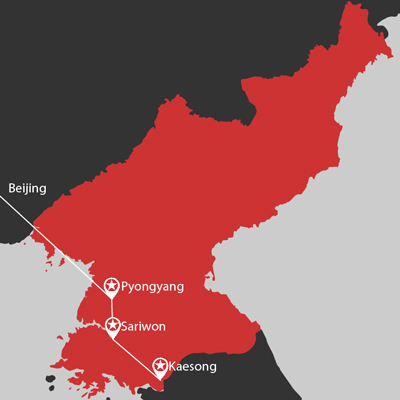 We’ll swoop around the 105 storey Ryugyong Hotel, do a low flyby of the Taedong River passing the Juche tower, have a great glimpse of May Day stadium – the world’s largest stadium, and explore the many districts sprawling across the city for fantastic and unique photography opportunities. This joyride is completely optional and is €250 per person on top of the tour costs. If you are interested please let us know while booking. We’ve included an extra day into this tour for the same cost as a regular five-day tour! So don’t waste any time, book with us now and secure your spot for a one of a kind New Year’s celebration! Flight takers depart Beijing Airport Terminal 2 on Air Koryo at 1:00pm (meet group at Air Koryo check in counter). Revolutionary Martyr’s Cemetery – the resting place of the greatest anti-Japanese revolutionary fighters, each grave features a bronze bust of the hero laid to rest within. Visit the Worker’s Party Foundation monument – the giant hammer, sickle and intellectual writing brush. 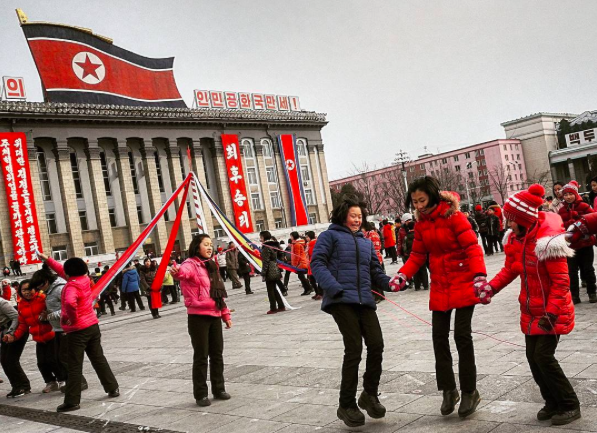 Visit Pyongyang’s largest department store! – here we can shop for locally made items and also have the chance to spend local DPRK Won currency! Drinks at Mansugyo Beer Bar, very busy with locals with seven different locally brewed beers on tap. Coffee, soda and other refreshments are available. Dinner at KITC Restaurant on Kwangbok Street – try the famous Pyongyang cold noodles or Korean Bibimbap dish. 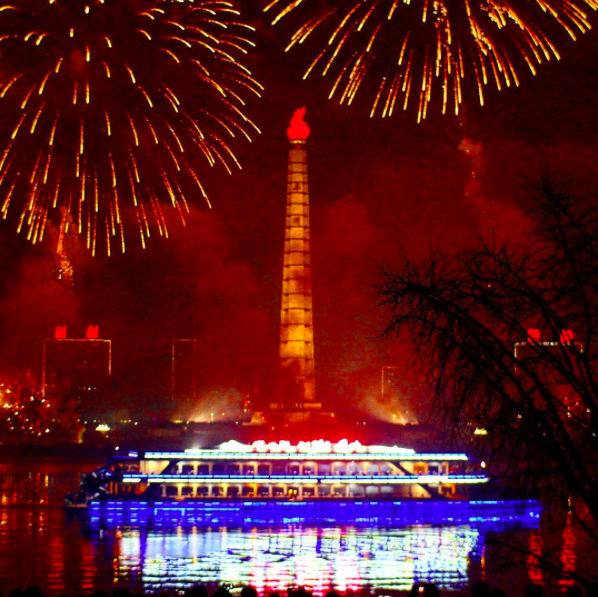 Get back to Pyongyang for dinner at the Duck Lamb BBQ restaurant with a performance! Tuesday 31st January – New Year’s Eve! Grand People’s Study House – library and academic centre for adult learners. This grand building is constructed in the Korean style and affords a great view over the central square. Pyongyang Metro- ride 6 stops on the famous Pyongyang Underground! 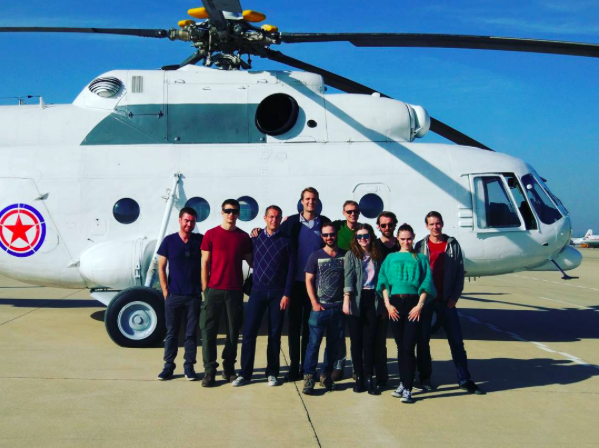 Helicopter Joyride option – we’ll drive to Pyongyang Airport for a VIP lunch (included) and board an Mil Mi-17 to take it on a joyride for a 40 minute aerial tour of Pyongyang city. Visit the recently renovated Korean War Museum – let the expert local guide show you around the enormous museum featuring dioramas, locally used weapons, tanks, etc., and captured American equipment! We go for a very special dinner and drinks session at the national restaurant, accompanied by the beautiful singing and dancing waitresses. We continue the pre-drinks and celebration at the Rakwon Beer Bar with local beers on tap. 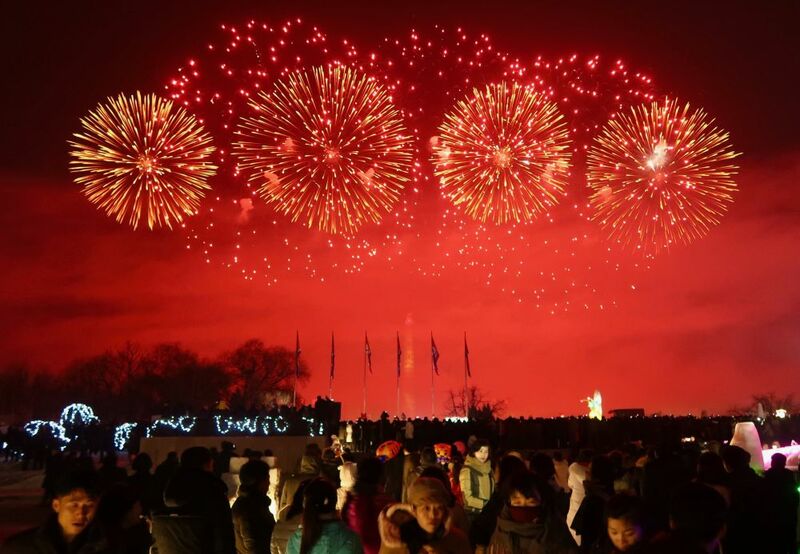 Happy New Year!” – join the locals at Kim Il Sung Square for fireworks and to celebrate the arrival of 2020! 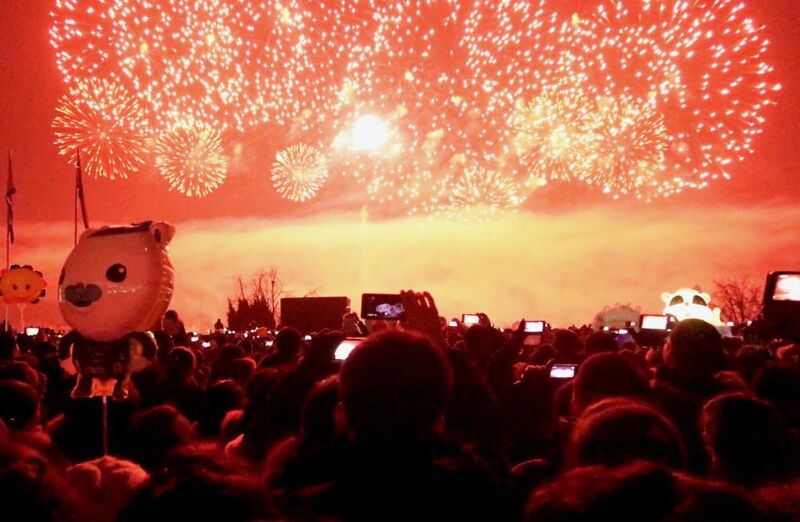 Wednesday 1st January – New Years Day! Taken to the Chollima Statue, with an explanation about the Chollima Movement. Head to Munsu Water Park to warm up! 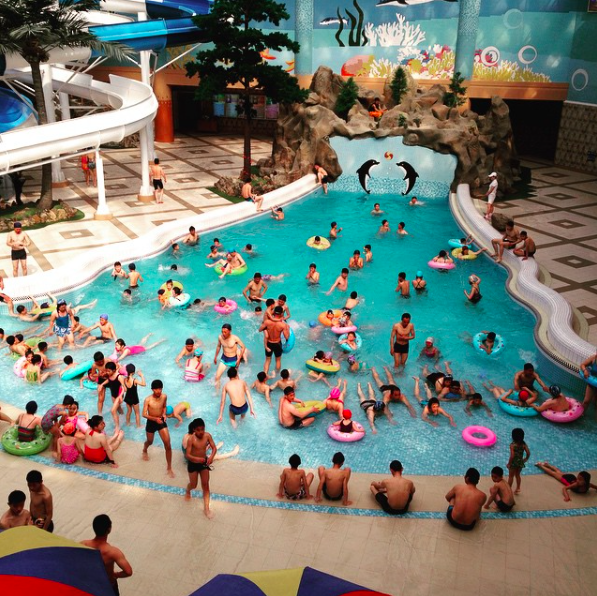 – With Indoor heated pools and modern waterslides, the park also features plenty for those who don’t want to swim, including a Haemaji coffee shop, a beer bar, table tennis, billiards, massage, or a beauty salon (various services extra charge, swimming and access to the gym, table tennis and billiards is 10 euro). Walk along the newly constructed residential Ryomyong Street with it’s highest building being 75 storeys. Drinks and overnight at Sosan Hotel. Flight members depart at 10:30am for Beijing on Air Koryo arriving in Beijing at 11:30am local time. Train members depart at 10:25am for the overnight train to Beijing and enjoy the peaceful countryside of both the DPRK and China. Train members arrive 9:00am in Beijing Railway Station. Optional extra - Join us for a sightseeing flight over Pyongyang in a Russian Mil Mi-17 Helicopter.